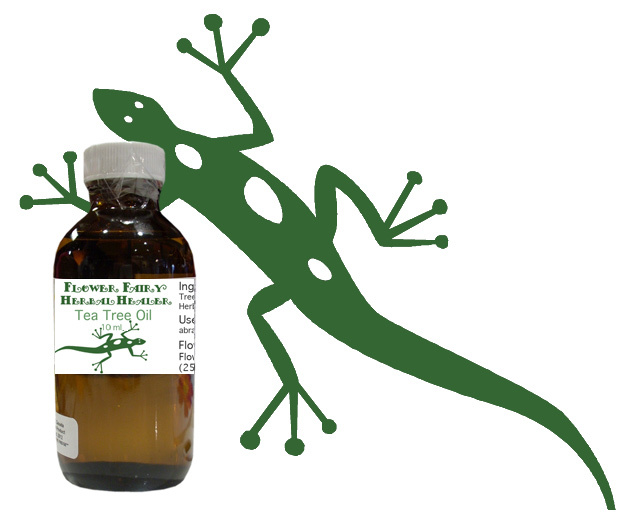 ﻿Ingredients: 100% pure, aramatherapy, essentail oil, natural tea tree oil from Australia. Free from herbicides, pesticides or chemicals. In an amber glass recyclable bottle. Description: Pressing the leaves and stems of an Australian shrub makes Teatree. It is a non-irritating antiseptic that's great for all kinds of cuts and burns. It said to be particularly helpful with sore cuticles and broken skin around the fingernails. Directions: Uses for tea tree essential oil, as a natural product, aromatherapy oil include: natural remedy for foot fungus, rash, acne, uses for tea tree include oil as an antiseptic, natural antibiotic, natural treatment for herpes, cold sores, scalp itch, bug bites, repels bug, repellent for mosquitoes, killing germs, natural plant that repels the mosquito. Tea tree can be applied directly to the skin, and doesn't burn when it gets into the skin like many medicines do. It is anti-fungal, so its good for treating nail fungus and ringworm. Its good for insect bites, rash, chicken pox, dandruff, cold sores and many others. Tea tree is also popular for oily skin and hair, popular salon and health food store shampoos have a Tea tree shampoo for oily hair. You can add to your shampoo at home. Just a couple drops in your hand with shampoo for scalp itch and to help reduce the scalp fungi that causes dandruff. Tea tree is oil that no home should be without as an antiseptic/germicide for abrasions and foot fungi and to make your own cleaning products with.